Polyurethane is a polymer, produced from isoamini and alcohols. This is a material between the rubber and plastics. Elastomer with a Shore hardness of 20 to 97 with Class A and Class D 40 to 90, it is characterized by high durability, resistant to low (-40 C) and high temperatures up to 100˚C, at a high load, water-resistant, also resistant to oil and solvent medium. It is used in the manufacture of: engineering details; lining rolls; metal wheels; in the glass, leather, textile, paper, automotive and other industries. 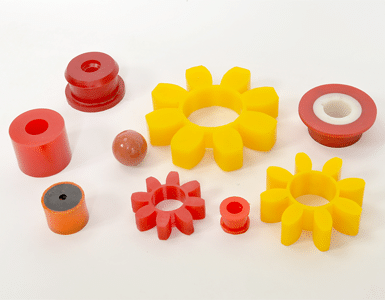 Antivibration pads, plugs, couplings, pulleys, rings, gaskets – all made of polyurethane, have a significantly longer life and show better behavior at work than previous rubber and metal in corresponding applications. This leads to less service time to repairs of machinery and equipment as well as quality work. 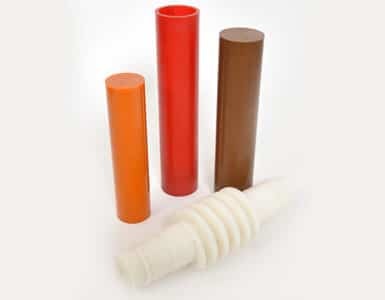 We offer polyurethane in: rods, pipes, plates or finished products.